Wow!!! Nature is so awesome. If you keep the nature clean it will give you many things but if you spoil the nature it will punish you. Example, the two floods which took place in India. We both like the nature and most of you also, but there are some people who don’t like nature. 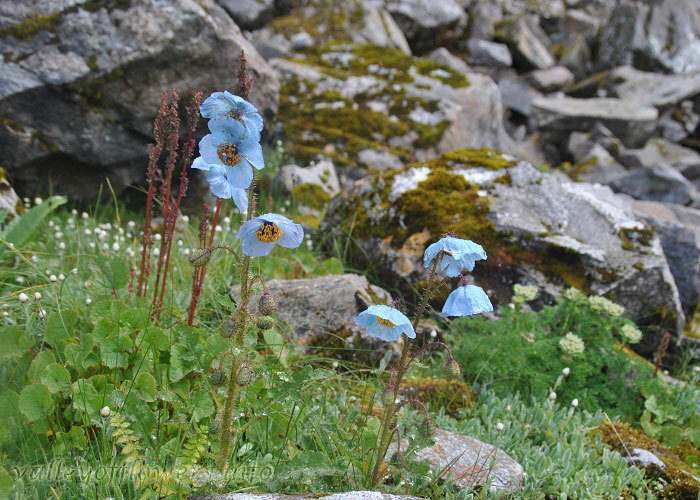 The way the flowers in Hemkund sahib blossomed, they looked like some decoration done by nature. The colors of the flowers which we saw were awesome. Even a man couldn’t copy those colors. It was all natures artistic work. The mountains there were very big. You climb one mountain but when you see front there is another mountain. They don’t finish at all. The greenery there cannot be matched anywhere else. I hope even you all go there once and enjoy the nature and also experience the mini heaven on the earth!!! We are presenting only few of the photographs from our journey and a little bit of narration on our treck. We urge kids to go for this trck. This will teach all of us about how we should respect nature and how big is our nature in stature. This will help all of us to be humble and good human being. 1. 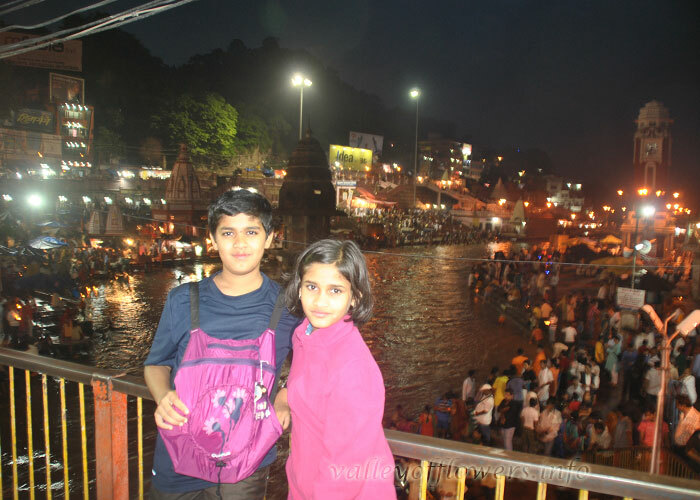 Haridwar : Haridwar is regarded as one of the seven holiest places (SaptaPuri) to Hindus. Amidst the KumbhaMela, millions of pilgrims, devotees, and tourists congregate in Haridwar to perform ritualistic bathing on the banks of the river Ganges to wash away their sins to attain Moksha. Brahma Kund, the spot where the Amrit fell, is located at Har Ki Pauri (literally, “footsteps of the Lord”) and is considered to be the most sacred ghat of Haridwar. 2. Rudraprayag : Rudraprayag is a town and a municipality in Rudraprayag district in the Indian state of Uttarakhand. Rudraprayag is one of thePanchPrayag (five confluences) of Alaknanda River, the point of confluence of rivers Alaknanda and Mandakini. Kedarnath, aHindu holy town is located 86 km from Rudraprayag. The famous man eating Leopard of Rudraprayag hunted and written about byJim Corbett dwelled here. 3. Dev Prayag : Devprayag (Devaprayāg) (Devanagari : देवप्रयाग) is a town and a nagar panchayat (municipality) in TehriGarhwal district in the state of Uttarakhand, India, and is one of the PanchPrayag (five confluences) of Alaknanda River where Alaknanda and Bhagirathirivers meet and take the name Ganga or Ganges River. 5. Vishnu prayag : Vishnuprayag is one of the PanchPrayag (five confluences) of Alaknanda River, and lies at the confluence of Alaknanda River andDhauliganga River on the Joshimath-Badrinath route, in Chamoli district in the Indian state of Uttarakhand. According to scriptures, it is the place where Sage Narada meditated, after which Lord Vishnu appeared before him. Kagbhusandi Lake, with its emerald green water, is a nearby attraction. 9. 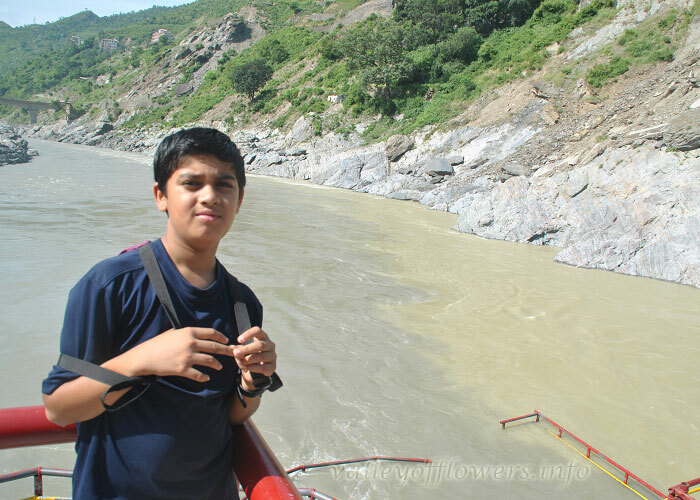 Alaknanda river : The Alaknanda (or Alakananda; Sanskrit : अलकनन्दा) is a Himalayan river in the state of Uttarakhand, India and one of the twoheadstreams of the Ganges, the major river of Northern India and the holy river of Hinduism. In hydrology, the Alaknanda is considered the source stream of the Ganges on account of its greater length and discharge. 10. 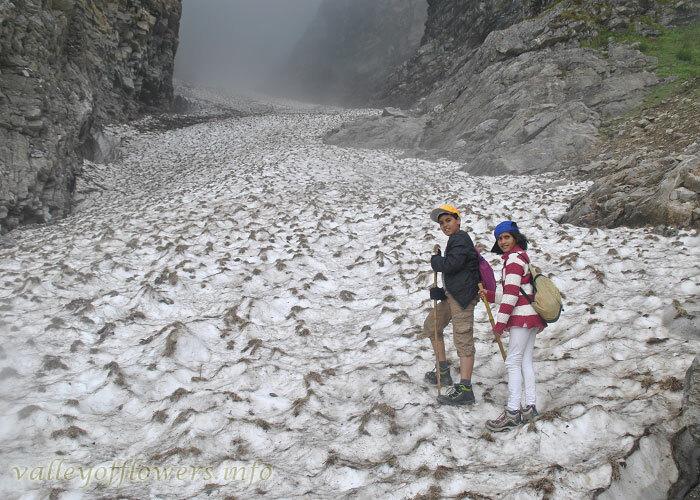 Ghangria : Is a small village on the way to Hemkund Sahib, a popular pilgrimage site for Sikhs which is about 6 km from here and the Valley of Flowers, a national park known for its variety of flowers about 3 km from here. It is located in the northern Himalayan ranges at an altitude of 3049 meters in Uttarakhand state of India. Ghangaria is situated at the confluence of the rivers Bhyundar Ganga and Pushpawati, which forms Lakshman Ganga, that later meets the river Alaknanda at Govindghat. 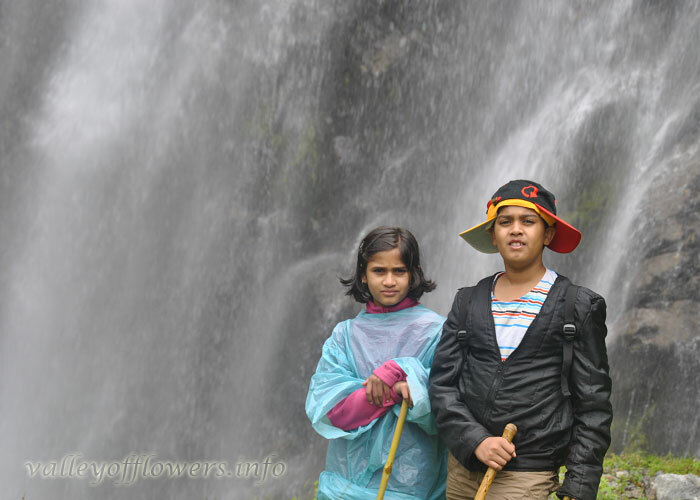 We both were walking in the rainy evening and it was amazing experience being between huge mountains!!! Wow its unbelievable scene there out!! 11. Valley of Flowers : Valley of Flowers National Park is an Indian national park, located in West Himalaya, in the state of Uttarakhand and is known for its meadows of endemic alpine flowers and the variety of flora. This richly diverse area is also home to rare and endangered animals, including the Asiatic black bear, snow leopard, musk deer, brown bear, red fox, and blue sheep. Birds found in the park include Himalayan Monal Pheasant and other high altitude birds. At 3352 to 3658 meters above sea level, the gentle landscape of the Valley of Flowers National Park complements the rugged mountain wilderness of Nanda Devi National Park to the east. Together, they encompass a unique transition zone between the mountain ranges of the Zanskarand Great Himalaya. The park stretches over an expanse of 87.50 km² and it is about 8 km long and 2 km wide. Both parks are encompassed in the Nanda Devi Biosphere Reserve (223,674 ha) which is further surrounded by a buffer zone (5,148.57 km²). This Reserve is in the UNESCO World Network of Biosphere Reserves since 2004.Amazing creation of nature!! We can bet that man cannot copy the nature. 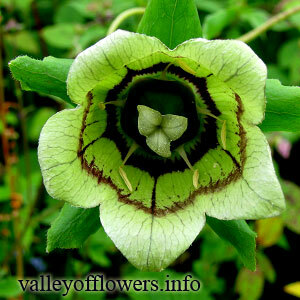 The color, pattern and designs on the flowers…really amazing!!! 12. 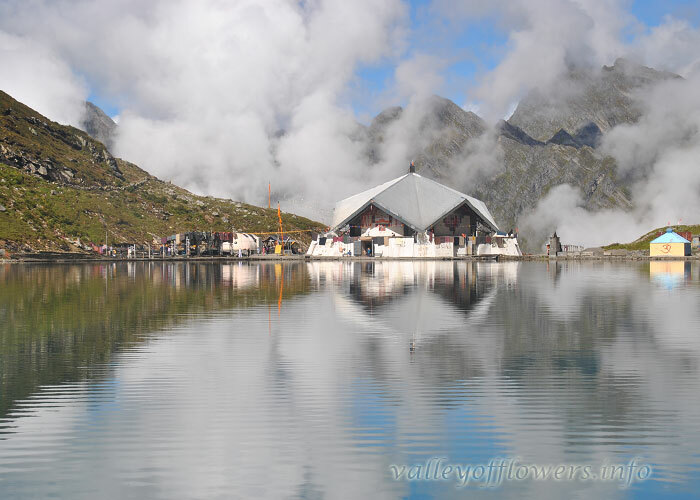 Hemkund sahib : Hemkund Sahib (also spelled Hemkunt), known as Gurudwara Sri Hemkunt Sahib Ji, is a Sikh place of worship and pilgrimage site in Chamoli district, Uttarakhand, India. It is devoted to Guru Gobind Singh Ji (1666–1708), the tenth Sikh Guru, and finds mention in DasamGranth, a work believed to be dictated by him. With its setting of a glacial lake surrounded by seven mountain peaks, each adorned by a Nishan Sahib on its cliff, it is according to the Survey of India located in the Himalayas at an elevation of 4,632 meters 15,197 feet). We felt like being in the heaven! Those four hours on the top of mountain are the best period of our life! Wow!! 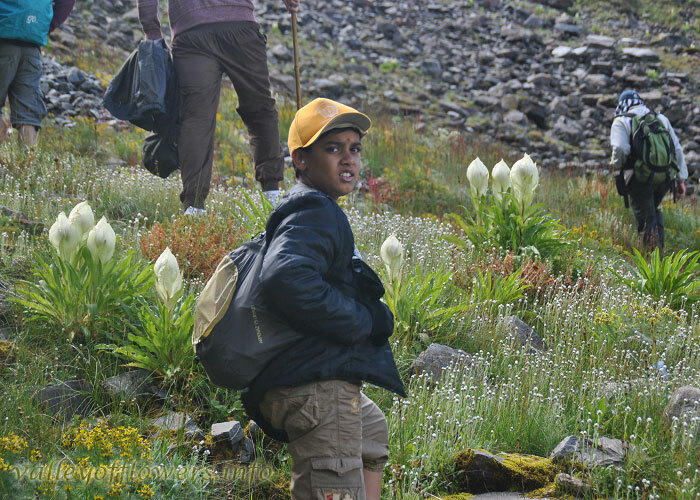 We were fortunate to sight the Vishnu Kamal, which is considered to be rarest flower. We really felt that we were blessed by god and being with him when we were in Hemkund Sahib! A must go place!! 13. Mana village : Mana is a village in the district of Chamoli in the Indian state of Uttarakhand, located at an altitude of 3,200 meters. It is located on the northern terminus of National Highway 58,Mana is the last village before the Mana Pass and is 24 kilometres from the border of India and Tibet/China. The village is at a distance of about 3 km from the Hindu Pilgrimage Badrinath and the two places are culturally connected with each other. 14. Saraswati river : We felt very happy to be here and felt very proud of our Jawans who take care of us, who dare the cold and tough challenges of the enemies across the border. 15. Badrinath : Mana is a village in the district of Chamoli in the Indian state of Uttarakhand, located at an altitude of 3,200 meters. It is located on the northern terminus of National Highway 58,] Mana is the last village before the Mana Pass and is 24 kilometres from the border of India and Tibet/China. The village is at a distance of about 3 km from the Hindu Pilgrimage Badrinath and the two places are culturally connected with each other.